Automotive Quality Certification a Success! 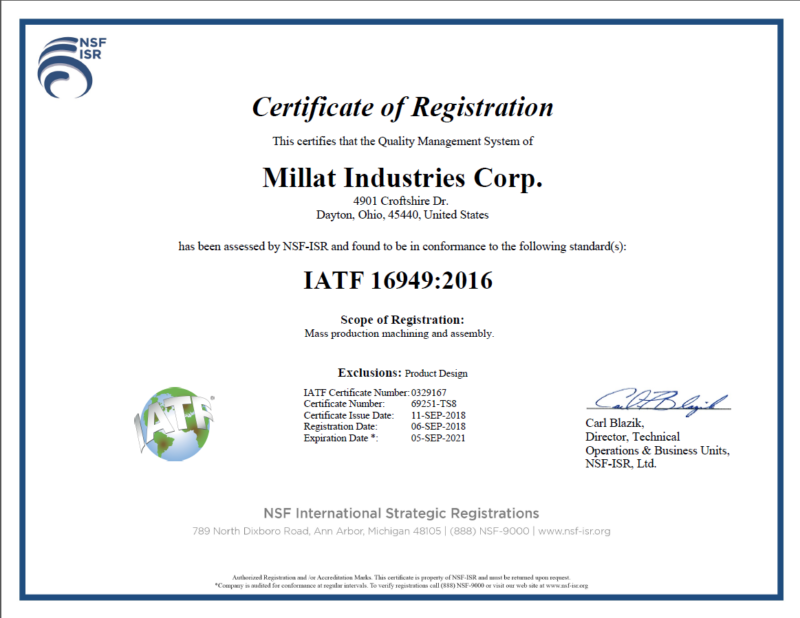 We have successfully upgraded our automotive quality certification to IATF 16949 with ISO 9001:2015. This certification is the standard quality management system specific to the automotive industry with the goal of maintaining “a quality management system that provides for continual improvement, emphasizing defect prevention and the reduction of variation and waste in the supply chain”. All TS 16949:2009 certifications expire September 2018 – we are happy to have secured the upgrade ahead of the required timing. We feel this certification reaffirms our commitment to maintaining quality as the cornerstone of our reputation. Congratulations to all who helped achieve this milestone!